Ohio’s capital city is an amazing place to visit, and promises a fun and memorable experience for every member of the family, with activities to fit every budget. 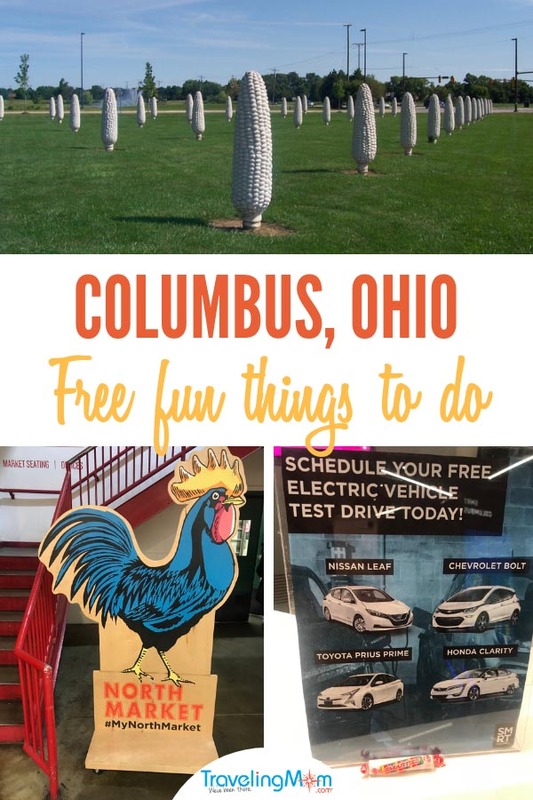 Our TravelingMom with Pets recently visited Columbus and found several free fun things in Columbus Ohio. These guarantee fun for the entire family. Columbus is more than the capital of Ohio. It is also a center for innovation in transportation, fashion and food. Because it has a host of free things to do, the city is a great place to spend a few days. I was so impressed by my trip to Columbus that I am already planning my return! So what are you waiting for? Go to Ohio. 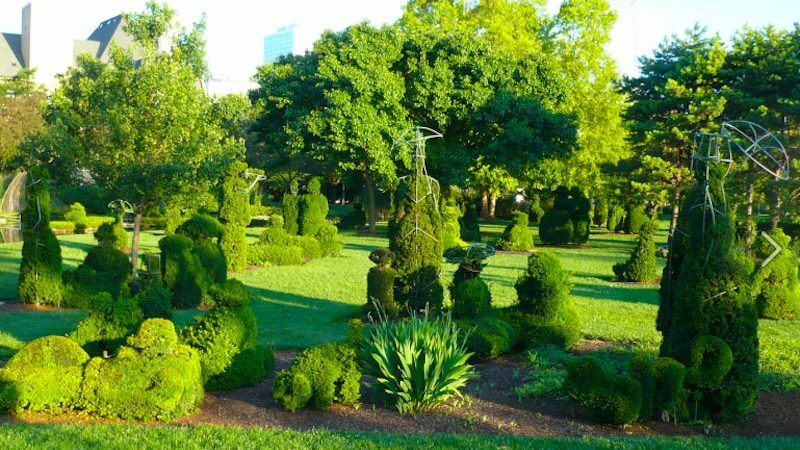 The Topiary Garden offers a living interpretation of George Seurat’s famous painting, A Sunday Afternoon 0n the Isle of La Grande Jatte. 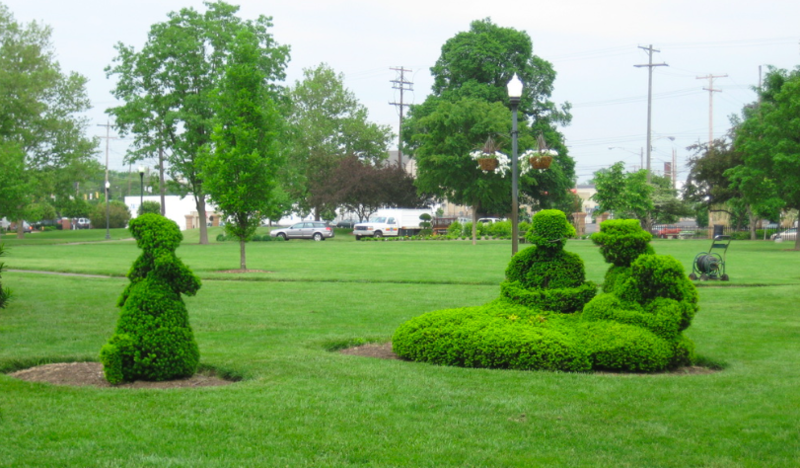 The topiaries include 54 human figures, several animals and a few boats. But don’t just come to see the topiaries. There are flowers and hundreds of trees. A seasonal visitors’ center has a video about the park’s history. You can picnic in the grass. Dogs on leash are welcome. The Field of Corn – Ohio has plenty of corn fields to drive past and after awhile, they may all begin to look alike. Not this one. The Field of Corn in Dublin features 109 “human-sized” concrete ears of corn. The roadside attraction was created as a tribute to Sam Frantz, inventor of hybrid corn. Malcolm Cochran, an art professor at Ohio State University, created the public art work, officially titled Field of Corn (with Osage Orange). Have you ever seen a 6 foot tall ear of corn? Here’s your chance. Window shop the boutiques in the Short North arts district. This area has all local and independent stores, restaurants and bars. If you are walking around with a dog, many places have water bowls out front and treats inside. Designers who worked for the large corporate brands based in Columbus often stay in the area and open high fashion stores. The Bookloft– New York City, where I’m from, has The Strand, a bookstore with miles of books. Columbus’ answer to this is the independent Book Loft. The 32-room bookstore has books for every taste, with large bargain sections. Be sure to walk around historic German Village. 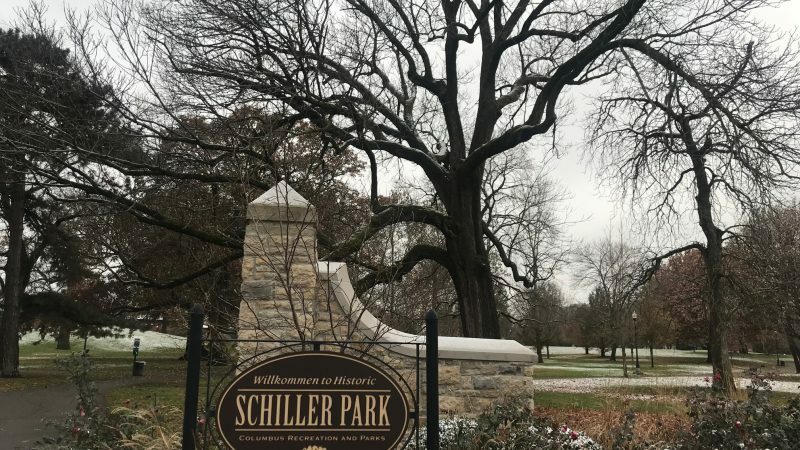 There is a pretty park, Schiller Park. It has a large playground and room for kids to run around. North Market dates from 1876. 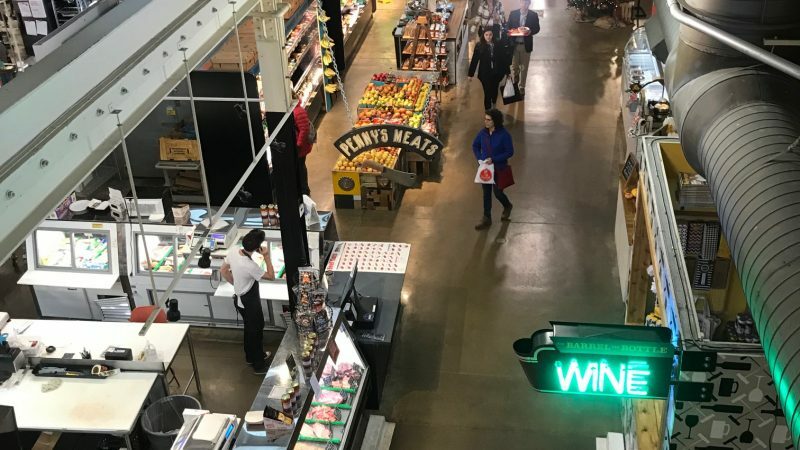 The public market gets over one million visitors a year. You can sample local ice cream and baked goods, or buy an inexpensive lunch. There is a seasonal farmers market on Saturdays and Sundays. A monthly night market on Fridays attracts local foodies. The National Historic Landmark opened in 1857. The Greek Revival style building took 22 years to complete. Free guided tours are offered Monday through Friday every hour on the hour, from 10 a.m. – 3 p.m. Weekend tours are from noon – 3 p.m. Tours last about 45 minutes. You can explore the building on your own, or with a self guided audio tour. But on weekends, House and Senate Chambers can only be seen by those on a guided tour. The Ohio Statehouse Museum has exhibits on the workings of state government. A free interactive gallery, Smart Columbus Experience Center, offers a look at the future of mobility in Columbus. It also offers test drives in a variety of electric vehicles. At the hands-on displays, learn about how different Columbus residents get around the city. You can get into and examine the cars on display, or sit on a motorcycle. Leave the car behind while you explore the city. COTA, the local transit authority, runs a free bus from Brewery District through downtown to the Short North. When my kids were little, they loved getting on and off the bus. Love cars? 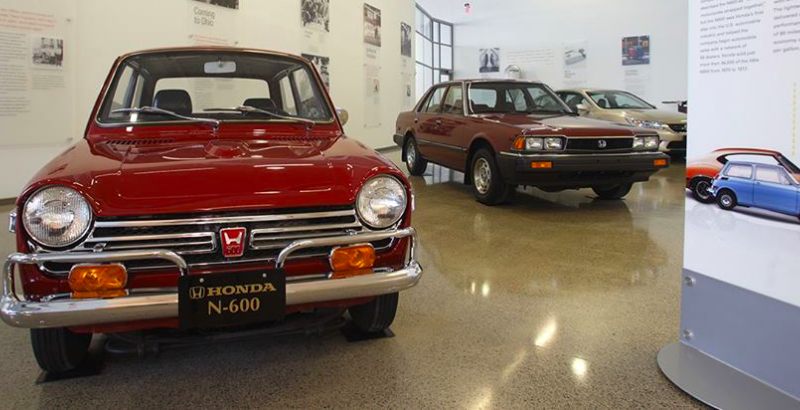 The Honda Heritage Center, about 30 miles outside Columbus, has a free museum dedicated to Honda vehicles. You can see classic cars and the latest models. You can also see Honda motorcycles and robots. The museum is closed on Sundays and Mondays, and open on select Saturdays only, plus Tuesday – Friday. You can also tour the auto plant. Advanced reservations (free) are required. Note that only children older than 14 are allowed. Adults need a government issued ID. Closed toe and closed back shoes are required. Auto plant tours are on Tuesdays and Thursdays. This is an update of a post originally written by Tonya Prater.